Eureka steam cleaner is a brand that is manufactured by Eureka a multi-million dollar corporation based in the United States which opened its doors for business over a 100 years ago in 1909. Eureka manufactures a whole range of home appliances including vacuum cleaners, and other home and commercial cleaning appliances. The company is committed to environmentally friendly products in its manufacturing. It's products found on the market today are found under the brand names Eureka, Electrolux, Sanitaire and Beam which is now known as Electrolux Central Vacuum Systems. 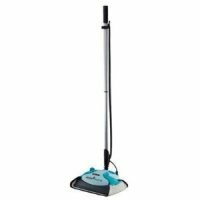 This Eureka steam cleaner 313A is one of the best selling steam cleaning products on the market. It has very high ratings and overall positive feedback from thousands of users who have invested in the unit. It sells online for just under $80.00 and can be even found cheaper for as low as $60.00 on reputable sites such as Amazon . 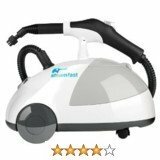 This is a hard surface cleaner similar to Bissell steam cleaners or shark cleaners and Euro pro steam cleaner is designed for hard surfaces which are sealed. Such surfaces include tiles, granite, laminate and other such surfaces. 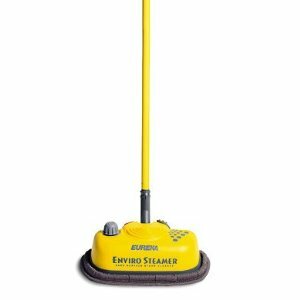 This steam cleaner is light weight and its swivel head is designed to easily maneuver into tight and restricted places behind and under furniture and cabinets. In the same was as the tons of models from other manufacturers, this Eureka steam cleaner 313 A does not rely on any chemicals to clean and sanitize your home. It is able to clean using steam to weaken strong bonds of long term dirt. When cleaning using this 313A steamer, the main agent of your cleaning is the steam that comes out. In order to save steam whilst cleaning avoid lifting the steam cleaner above the ground/floor whilst steam is coming out. A lot of steam will escape out this way and quickly empty your tank with water supply which is heated into steam. Still on steam this is remarkably one of the hottest steamers on the market. It can get as hot as 220 degrees which makes us believe that it can sanitize your floors. Some manufacturers claim that their steam cleaners sanitize however we often doubt this due to the "lukewarm" steam produced by these steamers. Due to the water tank size of this Eureka steam cleaner 313A, it is one of the longest lasting steam cleaners. With a full tank of 20 oz. we can confirm that you can clean for more than 20 minutes without need for refilling. Most steam cleaners go only as far as 15 minutes. This can introduce an accumulative downtime if you have say the whole house to clean. In terms of safety, this Eureka steam cleaner 313A has a warning red light that is lit when your tank is in need of refilling. Absolutely no chemical is to be used with this steamer. It is designed for water only. Chemicals may corrode the parts inside the steam including the water tank. - the clip attached to the handle helps to keep the 25 foot long electric cord out of the way as you are working. On other steamers you can easily get entangled in electric cord whilst working. - feels strong and sturdy and lasts longer. Have good enough weight to put pressure on the floor on its own whilst cleaning. - on first use steam may be problematic coming out. You will need to let the steam heat longer even for up to 10 minutes to allow steam to come out. There after it should be fine. 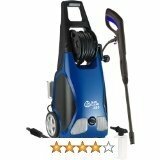 We highly recommend this steam cleaner 313A from Eureka. Overall wherever it is sold online and offline it has received very impressive reviews, ratings and feedback. The balance between positive and negative reviews is heavily tipped in favor of positive review and ratings. The Eureka 300 Enviro Steamer is one of the earlier models available from Eureka. It is still available from some limited shops on the internet. This is a steam cleaner which uses no chemicals to clean. It is also designed to sanitize surfaces and kill salmonella and e.coli just like the Eureka 313A Enviro Steamer. It is a hard surface floor cleaner with an adjustable handle. Check for current price . Some users have complained of streak after using this steamer. It is important to remember that streak can also be a result of chemicals used on the previously on that floor. Once this happens the fist time and the chemicals are removed it will eventually end as they are completely taken out from your floor. This is a durable unit which many users report having owned for years yet still going strong. To resolve the problem of replacement pads some steamer owners have resorted to using hand-towels by wrapping them on the swivel head of the steamer. We do not recommend these pads, they have very poor ratings and reviews. selling for $16.00 the price is too steep for the quality offered.